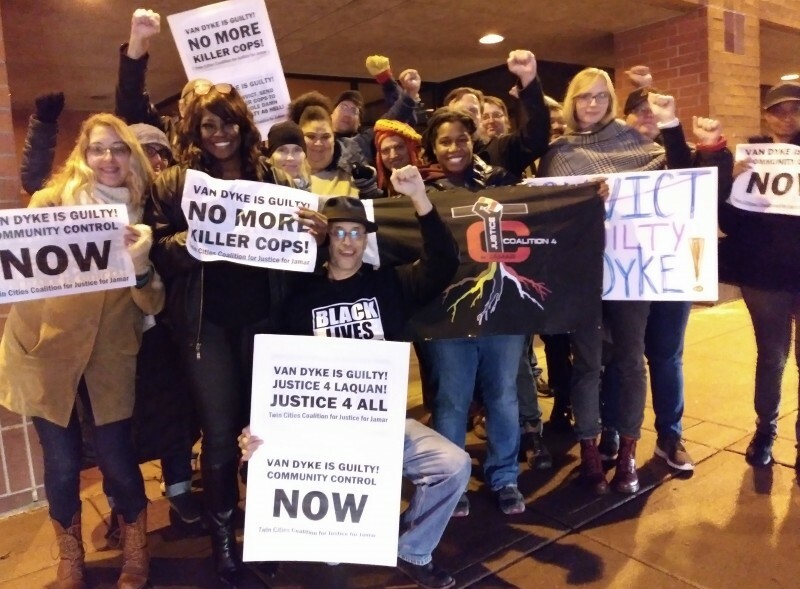 Rally in Minneapolis to celebrate verdict in Laquan McDonald case | Fight Back! Minneapolis, MN – More than 20 people gathered in a light rain at the intersection of Chicago Avenue and Lake Street in Minneapolis to celebrate the verdict in the Laquan McDonald case, October 5. The action was organized by members of Twin Cities Coalition for Justice for Jamar (TCC4J).